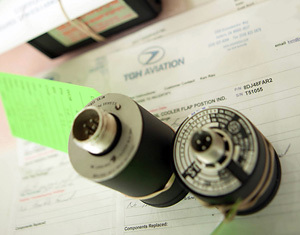 Excellence in quality is essential to the fulfillment of TGH Aviation’s mission. In the conduct of this vital work, as in all its efforts, it is TGH Aviation’s vision to achieve the performance of excellence characteristic of a global leader in the Aircraft Instrument Maintenance Services. We shall provide services that meet the needs of our customers and, through continuous improvement, seek to anticipate their needs and exceed their expectations, while delivering outstanding value for all the services we provide. Fostering the attitude of excellence among management and our employees by recognizing valued performance and affording opportunities for continuing individual and shared growth. Providing the resources required to achieve our vision of a global leader in the Aerospace Aircraft Instrument Maintenance Services industry. Empowering our employees to identify and establish a work ethic to assure continuous improvement in the performance of TGH Aviation’s commitment to excellence. TGH is a Part 145 Federal Aviation Association (FAA) Certificated Repair Station (CRS Number NG3R709L) and is compliant with Quality Management Systems regulations for Aviation, Aerospace, and Defense organizations. 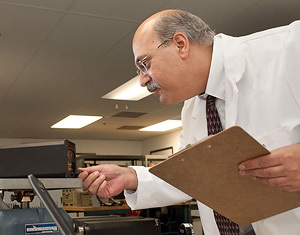 Our diverse and global customer base specify that TGH adhere to the unique parameters of their quality management system and as a consequence, TGH adapted our quality program to satisfy the requirements of a total quality management systems for maintenance, repair, overhaul inspection, and modification of aircraft instruments, accessories and of aircraft & avionics systems.